Recently, BitInstant CEO Charlie Shrem announced that his company would be releasing a new product: a Bitcoin prepaid debit card. The product is scheduled to come out in six to eight weeks, and would cost $10, although Shrem announced that the first thousand cards would be given out for free; for those who are interested the signup form is already available. The concept of a Bitcoin card is nothing new; they have existed in some form for months. However, with all of the previous options the costs have so far been prohibitive; beyond the initial cost of the card itself, deposits could cost anywhere from 4% to as high as 10%. BitInstant's card, on the other hand, once loaded will cost a mere 1-1.49% to deposit, exchange fees included. What makes this possible is that unlike any of its competitors, BitInstant is working through a Mastercard banking partner directly, with no intermediaries. Almost immediately after the announcement, however, there arose some confusion in the Bitcoin community as Mastercard came forward to deny1 that such a card was in the making. Before being able to issue a card with a MasterCard logo on it, both the issuer and its banking partners need to go through a rigorous screening process, a MasterCard spokesperson explained, and "at the moment, BitInstant has submitted no documents to MasterCard, and is not even present on their system." However, Shrem quickly clarified the situation2, explaining why MasterCard made such a claim: BitInstant was not working with MasterCard directly, as the card would be made through an international banking partner, and the submission to MasterCard would not take place until the preparations with the banking partner were complete. Aside from its cost, BitInstant's card will have two other advantages over its competition. The first is its internationality - BitInstant's card will be usable anywhere in the world - except perhaps, as Shrem points out, "North Korea I think." The card itself is denominated in USD for banking purposes, although BitInstant will be able to make the card's value rise and fall with the Bitcoin price to simulate a constant Bitcoin balance if the customer desires it. However, currency conversion fees are low; some currencies will be able to get away with no extra fees at all, while others may have an additional fee of 1% added on - considerably less than that charged by many other credit cards, whose intermediaries tack on much higher fees3 on top of the 1% charged by Visa and Mastercard. The second advantage is its convenience. The card can be reloaded simply by sending money to an address, and comes with a QR code that allows smartphone Bitcoin wallets to send funds to that address directly on the card itself. The one disadvantage that the card has is that it is not anonymous - BitInstant intends to comply fully with the strict anti-money laundering (AML) and know-your-customer (KYC) standards that providers of prepaid debit cards are required to follow. Those who wish for greater anonymity may instead turn to an alternative card released by Bitcurex which has a higher initial cost of $30 and a deposit limit of $3500, but does not require any identification to order. With the low fees that it has, BitInstant's debit card represent another step in a growing niche use for Bitcoin: that of a behind-the-scenes intermediate currency for transferring the money that most of us already use every day. International money transfer of the sort typically carried out by intermediaries like Western Union and Moneybookers is one example; some people have been finding it faster, safer and cheaper to send bitcoins4 from one country to another by converting in and out of Bitcoin through local exchanges on both sides than by dealing with the bureaucratic fees and delays of sending it internationally via traditional means. Now, BitInstant is expanding this niche into another market: the prepaid debit card industry. Prepaid debit cards are a growing market5, and Americans loaded a total of $37 billion onto prepaid cards in 2011 alone. So far the prepaid card industry has been burdened with high fees, and reloading them has always been a cumbersome process. 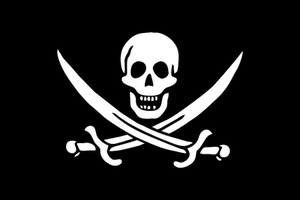 Now, thanks to BitInstant, this may all change. Unlike so many other Bitcoin-based services that attempt to replicate businesses that already exist in the world at large, BitInstant's prepaid debit card is actually superior to much of its competition, and may even be a competitive option to someone who does not yet have any personal or ideological interest in Bitcoin whatsoever. But low fees are not what prepaid debit card users are looking for. Even the cheapest prepaid debit cards have higher fees than traditional debit and credit cards, so for debit card users there are other factors that dominate. One article on bankrate.com describes the case for prepaid debit cards with four arguments. First, debit cards help curb spending, as it is impossible to have a negative balance. Traditional debit cards have the same effect, but are often unusable for online purchases, making the prepaid variety, which mimic credit cards, more attractive. Second, prepaid cards allow you to keep your money safe when travelling. If your card is stolen, your losses are limited to the value of the card. Third, teaching kids about money - prepaid cards can easily be used to give your children a controlled allowance. Incidentally, that is a purpose for which Bitcoin itself shines too, the main difference between the two being that Bitcoin offers the child more privacy. Fourth, prepaid cards offer more privacy, as merchants do not receive all of the customer's personal information when a transaction is made, and some cards can be bought without anyone being able to link you to the card at all. It is the second use case in which BitInstant's card truly shines. Existing prepaid debit cards often have currency conversion fees as high as 2.5%6, making them expensive to use while travelling, but BitInstant's card charges a mere 0-1% for the service, making it a perfect fit. If privacy is your primary concern, Bitcurex's debit card may be your best bet, although BitInstant's card fares decently in this regard as well; even though BitInstant itself will have access to your personal information, the merchants who you transact with will not. 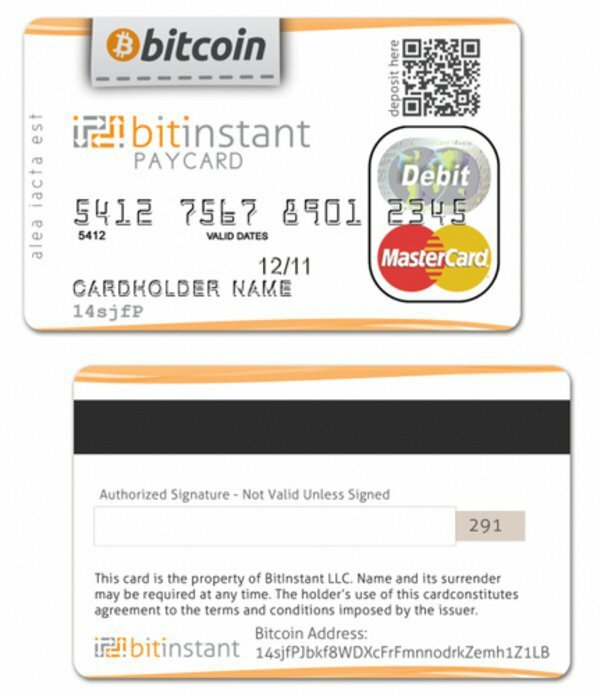 Of course, for those who are already avid Bitcoin users, BitInstant's card offers even greater advantages. It essentially turns your Bitcoin balance into a fully fledged bank account, allowing you to live almost entirely "off the grid" of the traditional banking system. The card offers a convenient way of "cashing out" of Bitcoin at any time, complementing the services that BitInstant offers to facilitate people instantly "buying in" and allowing those who wish to live a more halfway house lifestyle a seamless experience in converting from one to the other. Employers interested in paying their employees in bitcoin will now suddenly find their lives much easier; while before Bitcoin could only be used to buy a limited range of products which employees may or may not need, potentially requiring them to undo the employer's hard work in buying bitcoins with their own hard work of converting them back to cash, now the currency can literally be used to buy almost anything. And the benefits will extend far beyond the prepaid debit consumers and employers who may be interested in such an offer; the growing use of services like BitInstant's card may be what provides the final push to bring Bitcoin to critical mass as a free-standing economy of its own.